I wandered into the MCR last Saturday for a drink with some friends. Whilst at the bar, I noticed a few members of W1 eating a sharing-sized packet of McCoys. 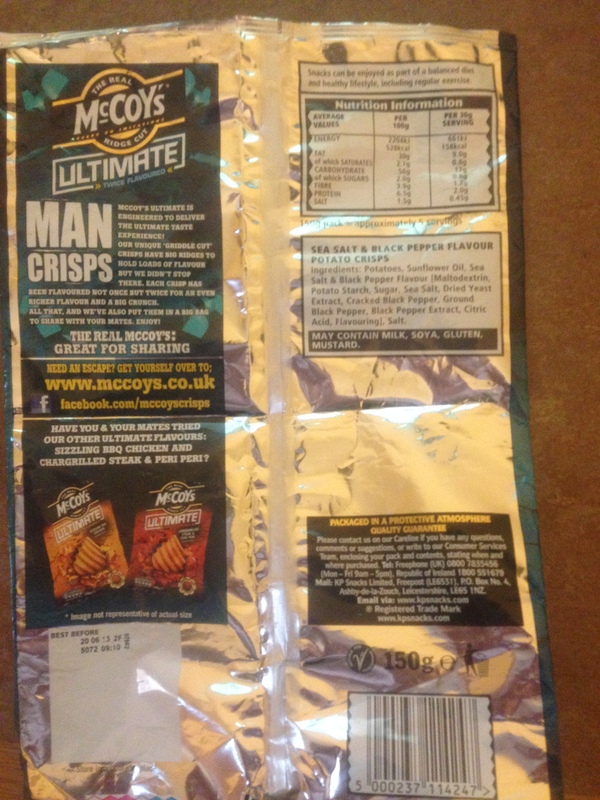 I was perturbed by the writing on the reverse side of the packet ‘MAN CRISPS’. 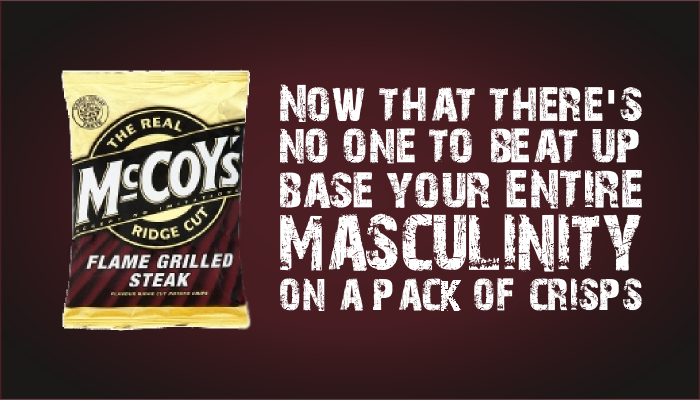 I advised Ms Bullivant that she was eating misogynistic crisps; horrified, she stopped. I then sat down in the MCR proper thinking about how disturbing it is that in 2015 you can still gender food stuffs a la style Yorkie (‘Its not for Girls’). Yorkie discontinued this tagline in 2011, apparently. 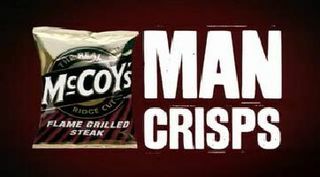 This is not the first time I have encountered this particular brand of McCoy’s crisps – indeed, less than two weeks ago a clergy friend of mine and I shared a packet and we voiced our joint objections to the macho-ness of the product. Observe the choice of words. Engineering imagery is rife throughout the packaging. On the front there is a cog emblazoned with the words ‘griddle cut’. 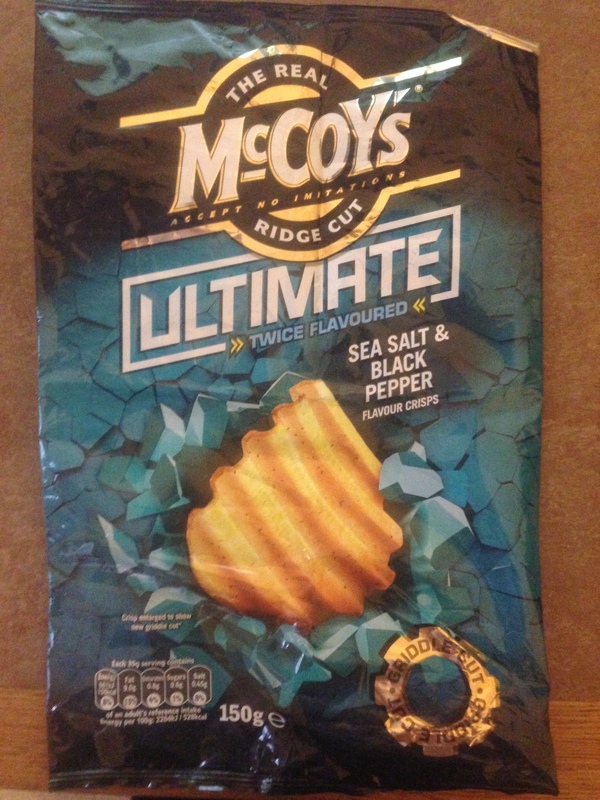 I think this imagery is intended as a warning sign to women – the manufacturer is saying that these crisps are, like engineering, for men only. If one is in any doubt whether or not the target market of these crisps is male, just look at the banner that says ‘share with your mates’. I am surprised that they put allergy information on the back – surely, ‘REAL MEN’ don’t have allergies?! Next Post Oriel Arts Week 2015 – What’s On!